Zen Nippon Kendo Renmei Iaido is the iaidō style of the All Japan Kendo Federation (AJKF, Zen Nippon Kendo Renmei or ZNKR). 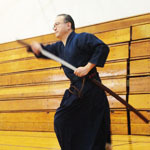 This style of standardised iaido is also known as Seitei Iaido (制定 居合道) or Zenkenren Iaido (全剣連 居合道). The AJKF was founded in 1952, immediately following the restoration of Japanese independence and the subsequent lift of the ban on martial arts in Japan. 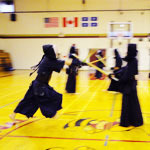 To popularise iaido and to make it easier for kendo practitioners to learn iaido, an expert committee was established by the AJKF to review the situation. 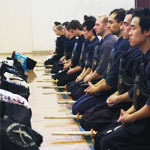 The committee subsequently selected the basic techniques from major iaido schools to form the curriculum of Zen Nippon Kendo Renmei Iaido.  In 1969, the AJKF introduced its seitei curriculum of seven standardised iaido kata. 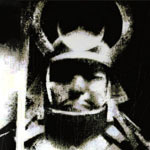 These were drawn from elements of the major sword schools, including Musō Jikiden Eishin-ryū, Musō Shinden-ryū and Hoki-ryū. 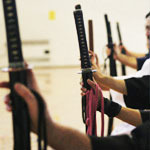 Three more kata were added in 1981 and two more in 2000, increasing the number of seitei iaido kata to the current twelve. These kata are officially known as the "All Japan Kendo Federation Iai" (全日本剣道連盟居合 Zen Nippon Kendō Renmei Iai? ), or Zen Ken Ren Iai (全剣連居合) and commonly referred to as seitei or seitei-gata. 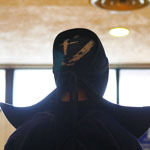 The twelve seitei-gata are standardised for the tuition, promotion and propagation of iaido within the kendo federations. 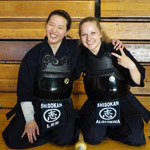 Although not all kendo dojo teach seitei iaido, the AJKF uses them as a standard for their exams and shiai. As a result, seitei iaido has become the most widely recognised form of iaido in Japan and the rest of the world. ZNKR Iaido (Seitei) kata with Noboru Ogura Sensei (8th Dan Kyoshi). A clear demonstration and explanation about the Zen Nippon Kendo Renmei kata which are performed in Iaido. We hope these videos will help you review what you have learned at the dojo in order to improve your posture and execution.